As we say here – ‘What’s for you won’t go by you.’ Nice post. Yes, this is something I too believe in. What’s destined, will be. Nice post. It’s amazing, no matter how many times we deny it, we keep getting drawn back to the thing that is meant to fulfill, that we’ll never be satisfied with anything less. 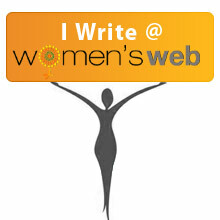 For Kriti, it was digital marketing, for me, it was writing. Great post! Nice post.. not just in career, but in every aspect of life, whatever’s meant to be yours will come your way! Inspiring.. Sometimes things happen for a reason … and how you deal with it all that determines the course of your life!